Mermaid Stemless Wine Glass Set is the perfect stemless wine glasses each with 21 ounce glass capacity. When entertaining at your coastal home or coordinating with nautical decor, this set of 4 wine tumblers will surely impress your guest. 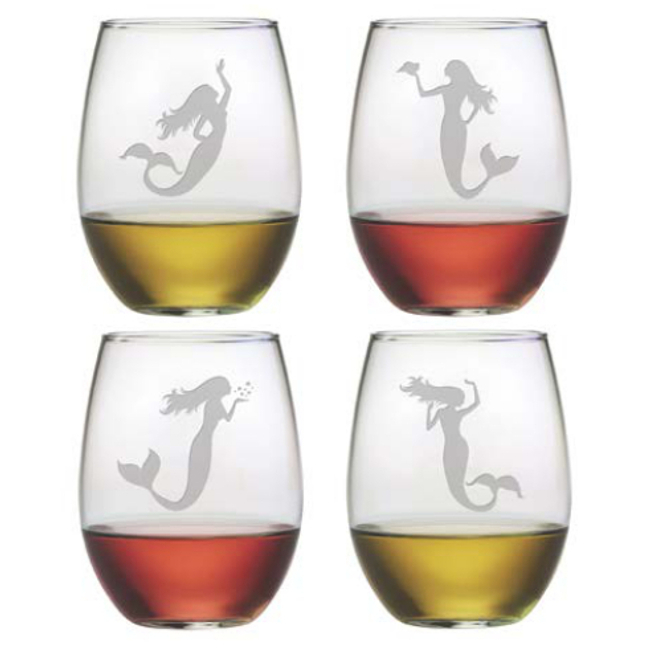 The Mermaids stemless wine glasses are great for parties because they are less likely to fall over compared to a stemmed wine glass. Hand decorated by skilled artisans n the Amish Homelands of South Central Pennsylvania. Built upon pride in craftsmanship and quality,this family owned business has been productive in America for one hundred years.